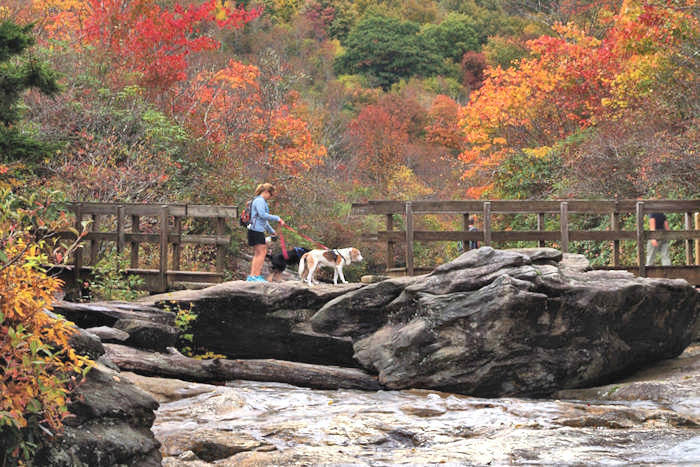 Asheville and the North Carolina mountains have many things to do and events during Labor Day Weekend. Concerts on the Creek: Free outside live music in downtown Sylva, with Dashboard Blue (classic hits, big variety) 7-9 PM at the Bridge Park, two blocks from Main Street with shops, restaurants and breweries. Family friendly, bring a chair or blanket. Read more about the concert. Drum Circle: The popular Friday night tradition in downtown Asheville includes many drummers and dancers in Pritchard Park, 6-10 PM. Read more about the Drum Circle. See more weekend events and festivals below! 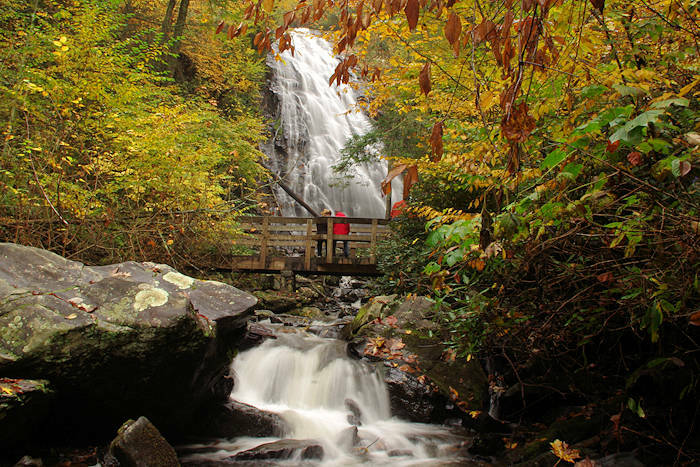 Hit the hiking trails, zip line, raft the rapids, tube down the rivers and find waterfalls. And that's just a few ideas. See our Top 70 Outdoors Things to Do! It will certainly be a busy weekend at Biltmore. See our Biltmore Insider's Guide with plenty of tips and the latest ticket offers (save $10 if you purchase tickets online 7 days in advance). And explore thousands of acres with many options for outdoor adventures at Biltmore like biking, rafting, Segways, fishing and more. They also kick off many special fall events in September - read more! In addition to the nation's most visited winery at Biltmore, take a winery tour in the foothills area including around Hendersonville and Morganton. Sample the local wines while enjoying the mountain views. See our Top Wineries to see in western North Carolina. This pristine reservoir near Cashiers has the highest elevation of any lake east of the Mississippi. Signal Ridge Marina rents a variety of Bennington pontoons and tritoons, as well as tubes, paddleboards, skis, wakeboards and kneeboards. There's even a beach! 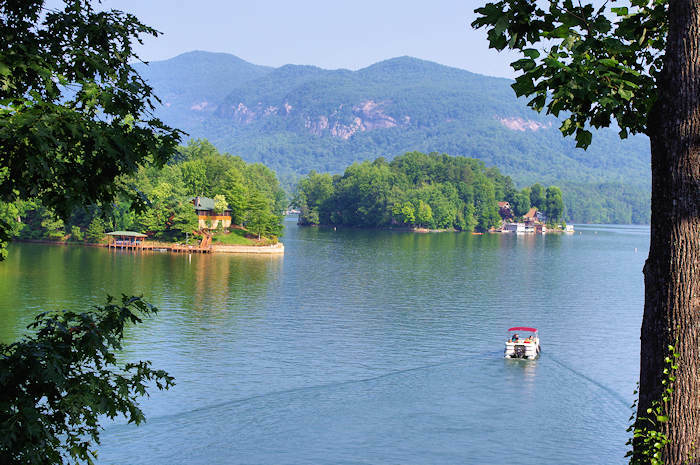 Our top mountain beach is found at Lake James State Park, with a wide sandy beach, bathhouse, concessions and kayak / paddleboard rentals. Nearby, camp, picnic, hike and mountain bike. Downtown Hendersonville features more than 150 vendors lining eight blocks of the main event area. There is continuous entertainment from 10 AM-10 PM each day. The King Apple Parade, always held on Labor Day, culminates the Main Street activities. Meet 100 artisans and crafters from the Southeast on Labor Day Weekend with a big variety of art, outdoors at the Festival Grounds (3374 Soco Road) in Maggie Valley. 9 AM-4 PM each day. Free admission and parking. Buy art and support the restoration of the historic school in Banner Elk. Find a big variety of artists working with metal, glass, pottery, wood, jewelry and more. Many other things to do nearby. 10 AM-5 PM. Free admission. Held at Emerald Village near Little Switzerland, enjoy many free events, including guided hikes, music, exhibits, talks and more. Also, pay for gem-mining, pan for gold and take a black light mine tour. Big celebration in Canton since 1906. Sunday features music festival, art and food, 12-9:30 PM ($10/person) at Sorrells Park, and free gospel concert at Colonial Theatre. Monday features a big Labor Day Parade at 10 AM, plus a music festival and car show, 12 PM-9 PM (free). 20 minutes west of Asheville. 2019 Update: The LAAF Festival that was held in downtown Asheville for many years on the Sunday before Labor Day will not return in 2019.